Roval wheels were imported by William Lewis Imports in the 80's. 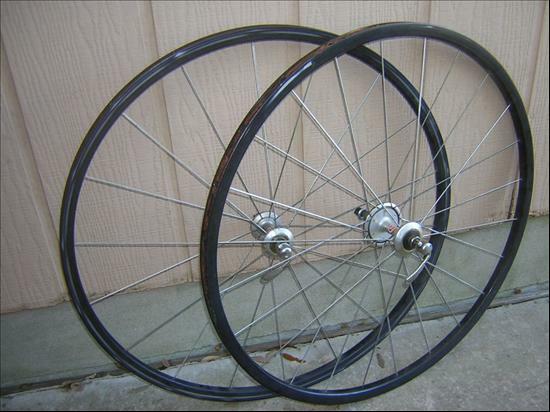 These road wheels came with either tubular or clincher rims. Bladed, straight pull spokes laced radially on the front and rear offside; laced cross one on the rear driveside. This set has Spidel/Maillard skewers.